Automation, BEE editor, SMS tracking and statistical reports: let us guide you around the other (substantial) innovations on the platform. MailUp 9 was one of the most significant releases in recent years. If we wanted to dedicate a post to every new feature, we could easily write an entire e-book or create a special section within the blog. Having extensively explored Collaboration and the Recipient profile section in recent weeks, today we want to end the journey with a compendium—one that is as comprehensive as possible—featuring all the other new elements of the platform. 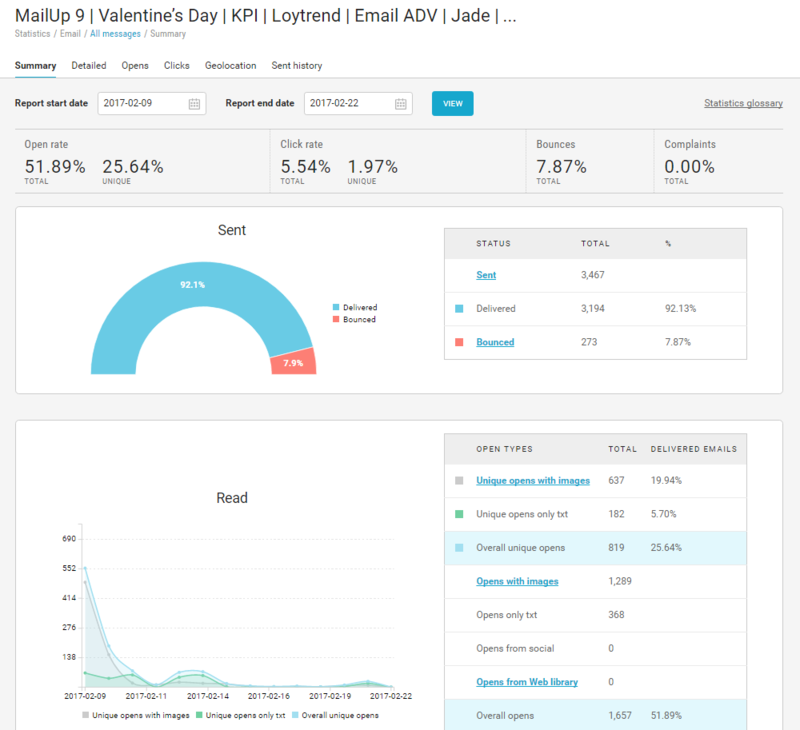 From marketing automation to the reporting system, the research into MailUp 9 has touched on virtually all the functional areas of the platform, adding new possibilities and resources to your email and SMS marketing activities. 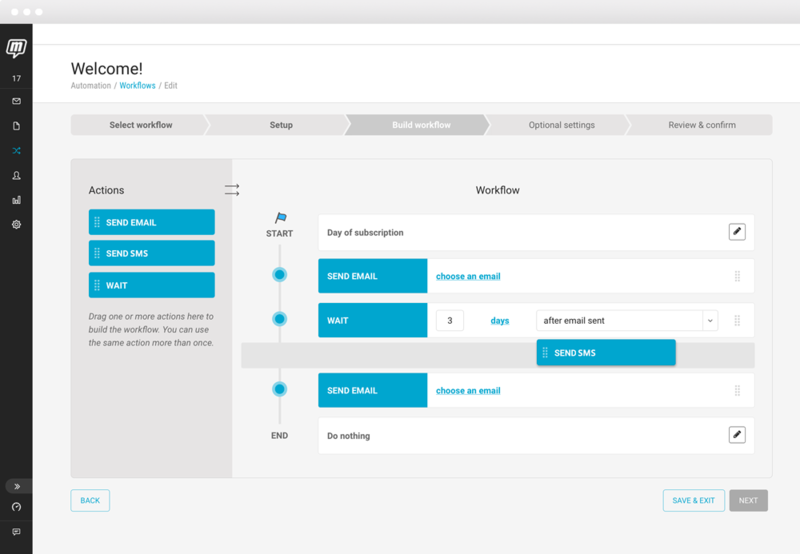 The result of on-going development of marketing automation technologies, MailUp 9 gives you the possibility to add SMS to workflows, as well as emails, so you can set multi-channel campaigns to send automatically. For example: an e-commerce site wants to inform a customer that their order has been shipped. Now they can automatically send a notification via email and SMS through an instant channel with very high opening rates. All it takes is a few simple drag & drop operations to set up a workflow thanks to the new system. Registration, birthday or abandoning the shopping cart: select the condition that triggers the workflow. 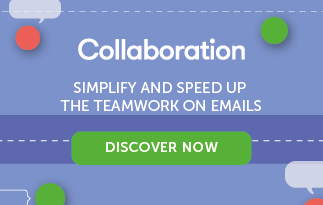 Thanks to the drag & drop interface, it just takes a few clicks to interweave emails and SMS into a single workflow. The filters allow you to define specific recipient segmentations and select non-interference groups. 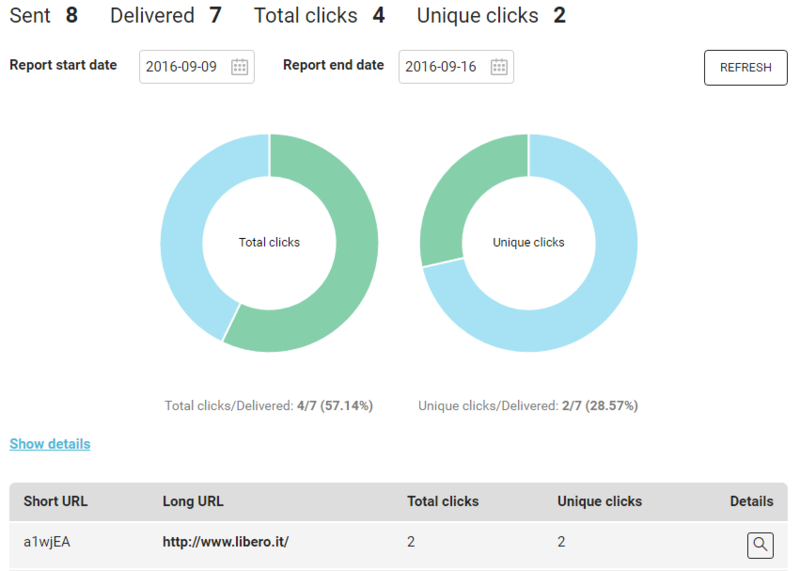 Once you launch the workflow, follow the progress of the campaigns with detailed aggregated reports. 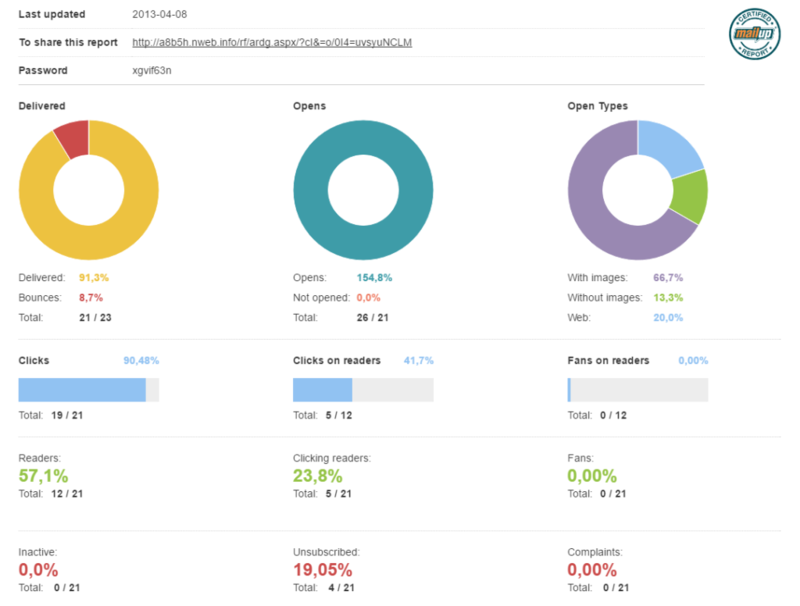 Talking about statistics, MailUp 9 gives you the opportunity to consult the key results of each workflow in real time, directly on the Automation page. Go on Workflow > Actions (corresponding to the workflow you want to analyze) > Statistics, then view the number of items sent and the opening and click-through rates. While we introduced a new BEE feature for finding images in photographic databases at the end of 2016, today we present the editor’s new full screen view. When you create a new email or landing page, or you simply want to edit one that has already been created, BEE automatically enters full screen mode. This feature allows you to make the most of the space on the screen, without distractions, so you can carry out all creation and editing operations for emails and landing pages with maximum ease. You will also find the template library in BEE has been boosted by more than 30 new email templates, with a professional design and ready for use. Last but not least is the option that allows you to set a different background image for each email module, for a refined design with increasing amounts of detail. And what if your recipient’s email client does not support the background images? No problem, the email will automatically restore the stock color selected before sending. From now on, anyone sending an SMS can have detailed knowledge about the clicks made on the link inserted in the message, not only at the campaign level but also in relation to the recipient. Simply put, it means that you know who clicked the link and how many times they repeated the action. There’s more. The new reports provide you with information and statistical data that you can use to develop a filter, create a new group of recipients or even define a condition (as accurately as possible) to start a workflow. Whether dealing with a page on your site or a landing page you’ve created with the editor, MailUp tracks all the links, provided they are shortened with the platform’s URL shortener, a handy tool to save the SMS characters and make your links traceable in detail. The statistical reports concerning individual recipients are kept on the MailUp platform for 90 days from the time of sending the SMS, and are available in the activity stream displayed in new recipient profile page. We will soon make this storage period extendable up to 24 months. As part of the platform’s extensive redesign, MailUp 9 has also significantly improved the look & feel of the statistics area. Thanks to modern interface, reports are now more legible and easier to consult. Statistics is an area we will continue to invest in throughout 2017, not only from the point of view of the user experience and design, but in terms of function, as we constantly seek out new criteria and reporting systems, improving the current ones at the same time. The new aspects of MailUp 9 do not end here of course. Working away behind the scenes are further improvements, fixes and tweaks that make MailUp 9 one of the most solid, rapid tools. It is capable of ensuring the best performance for managing the entire business cycle, from creation to sending, from targeting to automation. 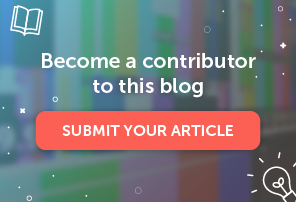 MailUp 9 is the culmination of a long research process intended to offer you the most advanced platform yet, and, at the same time, lay the foundations for future developments. This has been done with the aim of enrichinng the platform with new tools and features for Email & SMS Marketing.